Our Concealed Carry Reciprocity Maps are the most up-to-date and feature-rich CCW maps available. 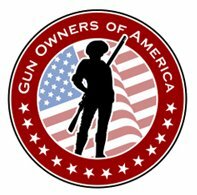 Click on every state you have a concealed carry permit or license in to see an overview of all states you can carry concealed in. Or view which CCW permits or licenses a particular state accepts. This entry was posted in 2nd Amendment, Concealed Carry, State laws and tagged 2A, 2nd Amendment, Anti-Gun, concealed carry, Concealed carry in the United States, Crime and Justice, Crime Statistics, Gun Control, Gun politics, gun rights, Gun violence, pro gun, Pro-Gun Rights, Right to carry, Right to keep and bear arms, Second Amendment to the United States Constitution. Bookmark the permalink.